Sometimes our internet searches bear fruit, and sometimes our tippers do all the work for us. Take this next example: a former magazine car, owned and built by a friend of DT "back in the day," subsequently changed hands several times - including to the tipper/reader who sent us the ad link. The car in question is a B13 Sentra SE-R, one of the great sport compacts of the '90s and subject of many Sport Compact Car magazine articles written by former Geek-at-Large Dave Coleman, who says: "Subcompact car? Oh, so sad... Front end has been changed since someone hit a deer or something (saw pics of that on Jalopnik a few years ago), but that's the car. Recognize the one-of-one strut tower brace." 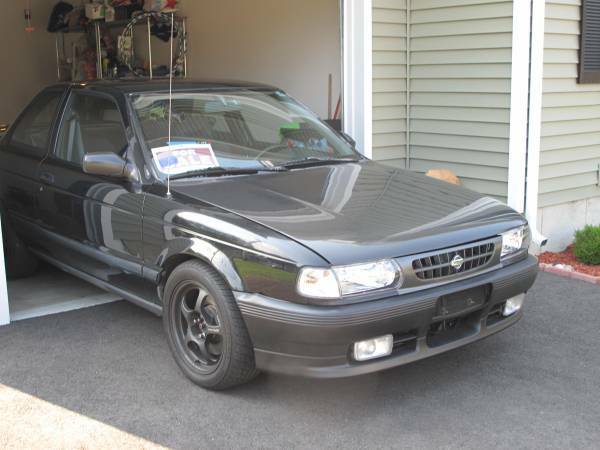 Find this 1991 Nissan Sentra SE-R for sale in Stratford, CT for $5,300 via craigslist. Tip from Cory. Today we are counting down the new year by featuring a few repeat offenders, cars that were for sale earlier this year, and are still for sale. The Citroen (Citroën) CX was a futuristic fastback/wagon built by the crazy Frenchmen at Citroen around the time the company was slowly succumbing to death by a thousand cuts as it was absorbed into the PSA juggernaut. This next example is about the craziest color you'll ever see on a car. 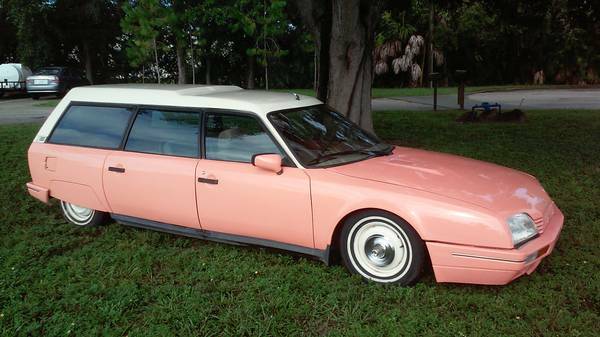 Find this 1987 Citroen CX Station Wagon offered for $3,950 in Largo, FL via craigslist. Tip from FuelTruck. Let's prepare for the new year by rehashing a few cars that were on the pages earlier this year, but are still (surprisingly) for sale. The attitude of "it's my car, and I can do what I want" is commendable and perfectly acceptable when you are building your next/current ride. Seriously, you'll never hear me second guessing someone's choice of powertrain when they are building a 13B rotary powered Cadillac DeVille, but you might hear something when you try to sell the car to the next guy...particularly if you ask 500CID V8 in an RX-5 money for your wrong-way swap. Speaking of "the wrong way", check out this 1990 Mazda Miata MX-Z3 offered for $20,000 in Commack, NY via hemmings. Tip from Russ. 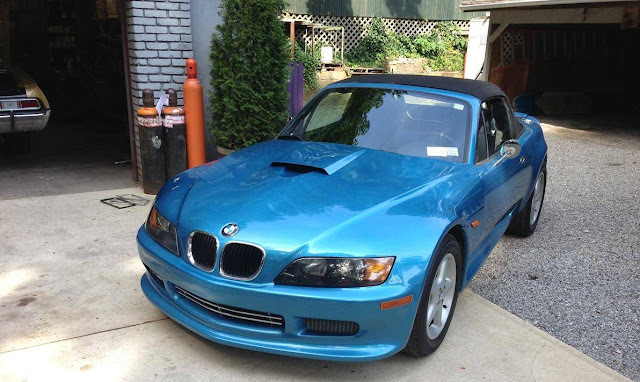 How often is it that you find a car for sale and you don't know what it is? Not that you aren't familiar with the make/marque, that happens often enough with ultra low volume oddballs, but when you can't even find out what you are looking at after a google search..well...that is something worth writing about. Find this 1974 DRB Sabre Mk II here on eBay bidding for $20,000 with a few hours to go, located in Haven, VIC, Australia. 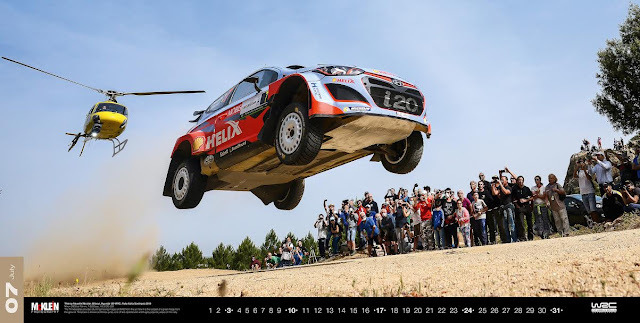 Get your McKlein Wider View 2016 rally calendars before they sell out, head over to P-sport.com where you will be redirected to a facebook page and the buy link is in a "shop" box on the left. Full review here. I have just discovered that I am in need of a new-to-me ride. My current beast is a 1990 Nissan Pathfinder wagon with a rusted out frame that won’t make it through another winter here in Montreal, Canada (salut les amis!) Seeing as it is days before Christmas and I am broke like every other bicycle mechanic I need help finding an un-killable motor and transmission combo with no electrical issues mounted in a Euro/Nippon-aise package for C-H-E-A-P. I have a budget of $3000. 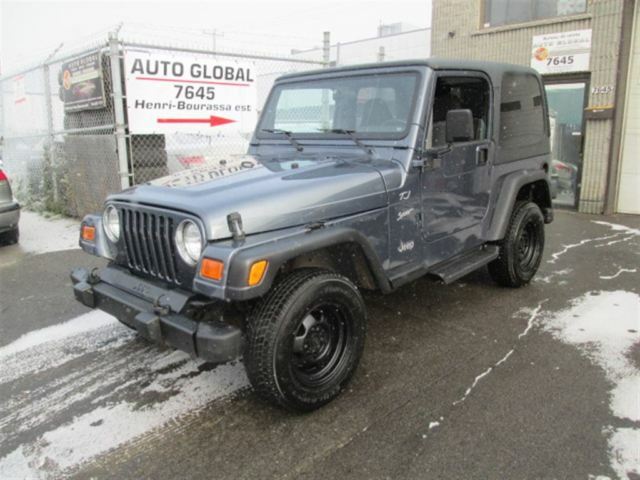 Requirements: Fits 4 people, must be 4x4 (no AWD isn’t the same thing). With enough ground clearance to fit my 6’2”, 190lbs body lying down under the lowest part. Reason for that last one is that the “path” to the family “cottage” tears the bottom off of every vehicle because of the granite boulders that the road is made of. That’ll be the reason for the 4x4 along with the fact that in the spring the road floods with more than 20” of standing water. Can ya help a guy out when he’s down on his luck? Ideally it’ll be somewhere close because I have exactly 14 calendar days before the plates are no good and I get pulled over again. We continue our annual celebration of the Northern Festival of Tights, also known as Canadian Christmas, (Dec 30th) with this Mercedes-Benz B-Class, a compact hatch-thing that we can't get south of the border. Canadian Christmas (as we previously discussed) is a few days after American Christmas, and it doesn't involve presents under a tree, it is more like American Halloween (Canadian Halloween is in April and involves folks dressing up as a devil-bunny named Fluffelzeebub who hides eggs in neighboring houses...it is coincidentally the only day of the year when more people die of gunshot wounds in Canada than the USA). On Dec. 30th, Canadian kids dress up like their favorite superhero sidekicks and go door-to-door pretending to be American. When the door opens they threaten to invade and then complain about lack of affordable healthcare...it's all good fun until someone forgets to say sorry and then the little whippersnappers throw plates of piping hot poutine at the offender's windows. Anyway, this next feature would be perfect for the small Canadian family who needs something to shuffle their kids around on the yearly Festival of Tights with plenty of room for a deep fryer in the back. Find this 2007 Mercedes-Benz B200 offered for $5000 CAD ($3.50 USD at time of publication) located in Mississauga, ON, Canada. For years I embarrassed myself by calling and wishing my Canadian friends (and family) a happy Independence Day or happy Thanksgiving on the wrong day of the year. They would apologize profusely and explain that they were at work, and that Canadian Thanksgiving and Freedom Day were on a different day from the American calendar. Imagine my surprise! This year, however, I did some research, and found out that the Canadian calendar flips from back-to-front and doesn't even have 12 months in the year! And even more shocking is that Christmas is celebrated on Dec 30th each year. Anyway -- Sorry, It's Christmas, and have this 2004 Acura EL Touring Sedan offered for $5,000CAD ($3,613 USD) in Toronto, ON via Kijiji.ca. DT's own Hunsbloger found this Corvair on his hourly search for 'Vairy good deals, but this might just be a deal that is too good to be true. If you are going to get a Corvair, the 2nd generation Corsa Turbo hardtop is the one to get, so finding one for a significant discount off the going rate (even if it needs paint) means you should tread lightly and see this one in the flesh before handing over any cash. Find this 1965 Chevrolet Corvair Corsa Turbo offered for $5,500 in Los Angeles, CA via craigslist. Find this 1969 Amphicat for sale in Gig Harbor, WA for $2,000 via craigslist. The Buick Roadmaster Wagon (and Chevrolet Caprice wagon) was the end of the line for the American full sized body-on-frame station wagon. It was a last hurrah for the classic American fuel drinker that wasn't an SUV, and was built from 1991 through 1996. Today's Roadmaster is a white/wood Collectors Edition example with a very low odometer reading. Find this 1994 Buick Roadmaster Wagon with 42k miles on the odometer, bidding here on eBay for $5,425 with 5 days to go, located in Glen Burnie, MD. In 1988 Chrysler launched a new marque called Eagle -- which was supposed to sink its hooked talons into the soft underbelly of Japanese car sales and tear up the competition. It was sort of a competitor to GM's Pontiac division, in that it was aimed at the "sporty" driver, but also at Saturn in that it was aimed at stemming the catastrophic market share losses to the Japanese. Either way the brand was mostly a collection of badge engineered cars from other Chrysler divisions or captive imports from Mitsubishi...like this next one. Find this 1992 Eagle Summit DL Wagon here on eBay bidding for $600 reserve-not-met with 4 days to go, located in Woodhaven, NY. Tip from Adam. I don't need to rehash the old story about how popular the Mustang was in its first few years on the market, but I will remind you that the California auto dealers were powerful and strong enough to convince corporate Ford that they needed a special edition coupe to keep buyers from heading to their local Chevrolet dealer to pickup the soon to be released Camaro. The result was something called the GT/CS (California Special) that was built in limited numbers with final assembly at the San Jose Ford plant using Shelby Automotive (now part of the Ford Borg collective) designed parts. Find this 1968 Ford Mustang GT/CS offered for $21,800 in Charleston, SC via craigslist. Tip from FuelTruck. Another Monday, another What Am I? visual puzzle for sharp eye'd DT readers to figure out. This one is a medium difficulty puzzle...but I'm afraid I've already said too much. 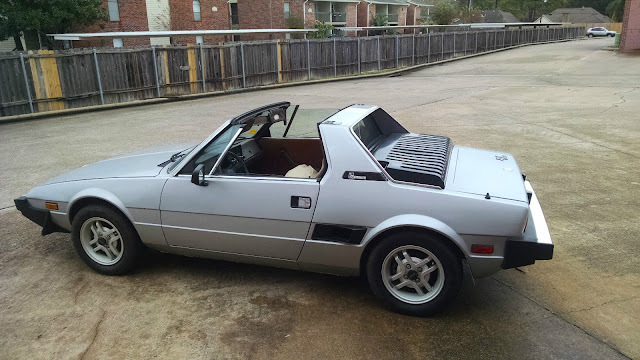 The Fiat X1/9 is one of those cars that love it or hate it...wait, what am I saying? You can't possibly hate the X1/9 -- it is such a underdog, such a classic success story, that you can't hold ill feelings towards it in the least. Find this 1973 Fiat X1/9 here on eBay bidding for $2,200 reserve-not-met with $4,250 buy-it-now, located in Spring, TX. I finally got around to ditching the family this weekend and hitting the movie theater to see the new Star Wars The Force Awakens movie -- it was really good (not gettin' paid to say this folks!). Got me thinking that the last Star Wars movie was in the theater 32 years ago [ed. CFlo: obviously Vince is overlooking the 1999-2005 prequel series, Episodes 1 thru 3; not sure if this was intentional but I'll go with it] -- that is a long time to wait for some force action. And it also got me thinking that if you plop the VHS..LaserDisc of the Return of the Jedi into your player, and fire up the old THX surround sound, that movie hasn't aged badly at all. You know what else is still a treat from 1983? 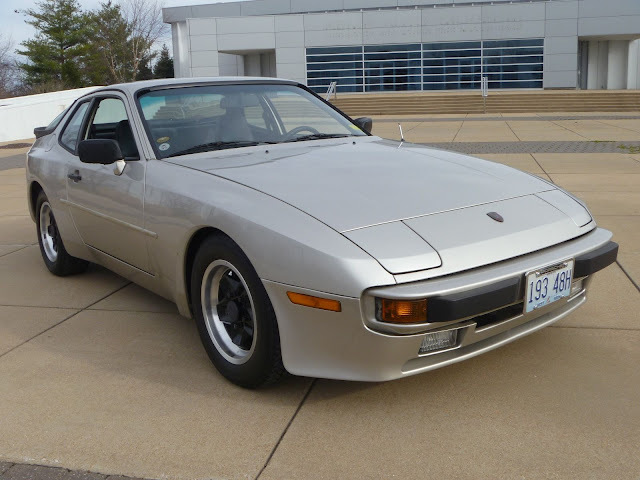 Certainly not Madonna's eponymous debut, that has aged like Carrie Fischer's voice, but this next car has aged well -- It's a 1983 Porsche 944 found here on eBay bidding for $4,500 reserve-not-met with a $13,000 buy-it-now located in Chesterfield, MO. When Honda introduced its two seater CRX version of the popular Civic platform, it wasn't the fastest car, it wasn't the best handling, or the best looking --but it provided an unmatched combination of reliability, tossability, and fun for a price that was hard to beat. If you asked me to name the CRXs competition in 1989, I'd have a hard time naming anything -- Ford's EXP? The Mercury LN7? Cadillac Allante? Maybe Toyota's MR2 or the Pontiac Fiero, but both of those cars were "exotic" mid engined rear-drive things and the CRX maintained the front-front configuration of the Civic. 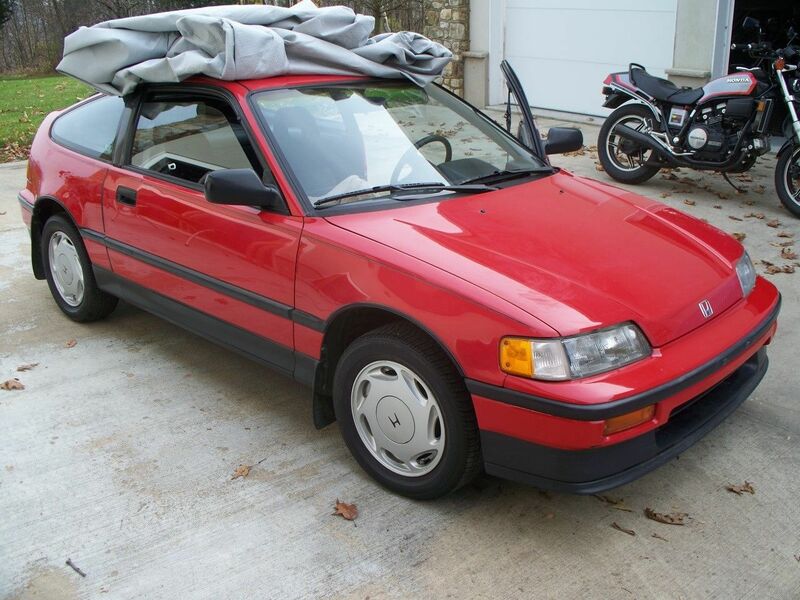 Find this 1989 Honda CRX Si here on eBay bidding for $5,600 reserve-not-met with 1 day to go, located in Lebanon, NJ. Coffee Brake: What Do You Want For Christmas?